These rolling message boards are designed for use outside. 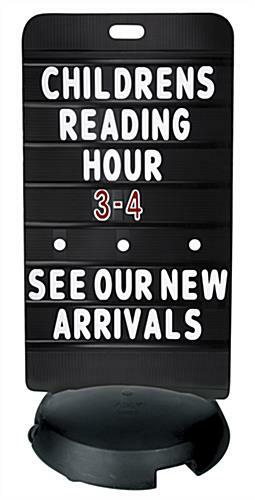 Constructed with durable plastic, these signs have a fillable base. The message board's base can be filled with water or sand to provide extra stability. 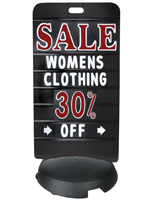 Each black sign board comes with 314 letters for custom messages. 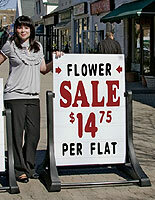 Choose the boards for your storefronts, sidewalks or outdoro events. 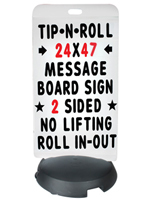 Each 24" x 47" board has rolling wheels for easy transportation.